DC Office Data Entry Operator Recruitment 2018 | GuwahatiCareer.Com :: Recruitments, Career Openings & Vacancies. Salary: Rs. 14,000/- to 49,000/- Grade pay-5,600/- per month plus other allowance as admissible as per Rule (PB-2). Education Qualifications: Graduate in any stream with minimum 60% marks in aggregate with an UGC / AICTE approved / recognized Diploma in Computer Science / Application / "O" level or equivalent certificate from NIELIT OR Diploma holders from Polytechnic with minimum 60% marks in aggregate or equivalent grade from an UGC / AICTE approved / recognized Institution in Computer Science / Computer Engineering / Electronics / Telecommunications Engineering / Information Technology. Desirable condition: Candidate must have the typing speed ot not less than 8000 key depressions per hour. A certificate of typing / Skill test is needed. Other Preferences: Typing knowledge in languages like Assamese / Bengali / Devnagari would be preferable. Experience: Minimum 2 years of experience in Data Entry Operation is needed. HSLC Admit Card (age proof), Pass Certificate and Mark sheet. HSSLC Pass Certificate and Mark sheet. Degree Pass Certificate and Mark sheet. Original copy of treasury Challan of application fees payment. BPL F.I. Card copy if available. 3 (Three) copies of passport size photographs. (One of which should be pasted on the application form). Certificate of Computer knowledge as mentioned above. Self addressed envelope with postal stamp of Rs. 5.00 only. Application Fee: Application fees as shown below have to be deposited by Treasury Challan into the Head of Account "0070-other Administrative Services". 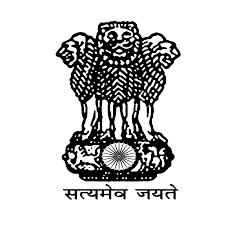 For General Category : Rs. 250.00 (Rupees Two hundred fifty) only. How to Apply: Application should be sent throught post or delivered by hand to the Duputy Commissioner, Dibrugarh, P.O,-C.R. Building, PIN-786003, Dist- Dibrugarh, Assam. Post applied for shall be superscripted on the sealed envelpope.